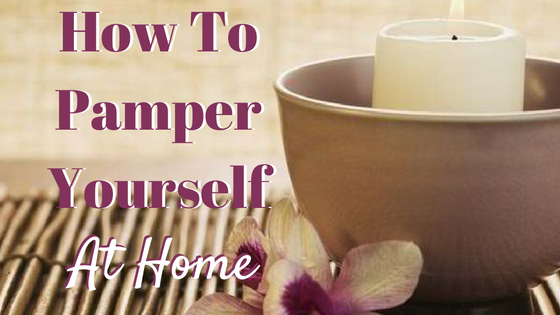 How to Pamper Yourself at Home! I don’t know about you all but after 8 hours of working long and hard on my feet I need some pampering. Since pedicures take away from my bank account, I have to find another way. My search is your gain! One of the best ways to start off your day of pampering, or at least your evening of pampering is a bubble bath. Allow yourself to fully soak and relax your muscles in the warmth of the water. You can let your frustrations and negatives of the day float away in the drain. Pampering starts from within to relieve the stress outside. After taking care of the whole body now you can focus on the specific aches and pains. Read a book and soak your feet. If you have blisters soak with Epsom salt, if you have fungus soak with a pinch of dishwashing soap in the footbath. Foot scrubs are great ways to get rid of any dead skin you may have built up or just reduce the likelihood of blisters. Another tip is to remember to prop your feet up when you can. It can help reduce swelling after a long day on your feet, since blood and fluids tend to sink to your lower leg. Suffering from yellow toenails? After removing polish, bring back their natural luster with whitening toothpaste! Who knew? Just apply the toothpaste to toenails and let sit for an hour. Also MOISTURIZE don’t walk out the bath and expect your feet to stay soft and luscious after you walk across a rough floor. Faith without work is dead. So you must take some precautions, moisturize your feet at night and after you shower. Even better, moisturize and put socks on while you sleep to better insulate your feet and really condition the tootsies. My key and final tip is to create a habit of pampering. Don’t wait until you are on E and near a break down before you take some time for yourself. Either you pay a little now or a lot later. The world will not crumble if you take an hour out for yourself once a month or so. Everyone needs some me time every so often, so why not start now. Get your favorite book, bust out your favorite candles and your best album and just relax. You deserve it. Winter Woes: How To Care for your BootsWhat to Wear – Valentine’s Day Style Guide!